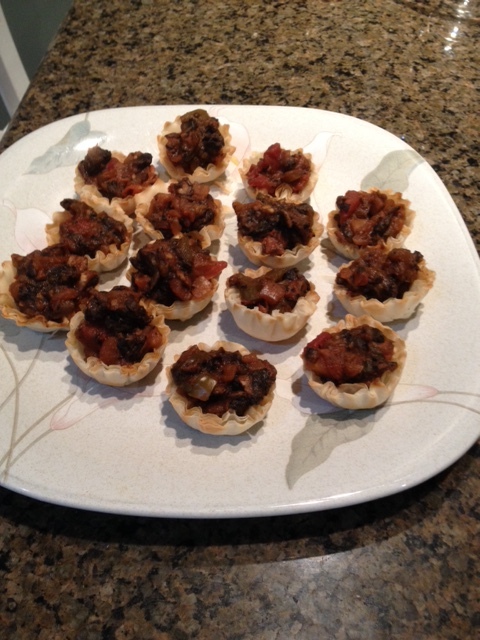 I wrote yesterday about some wonderful mini-puff pastry cups that have only 15 mgs of salt and 0.5 grams of fat in two of them, so you can chug six or eight with ease and not worry about salt or fat content. But you need to fill them with something to make them a treat for guests at your Super Bowl Party. 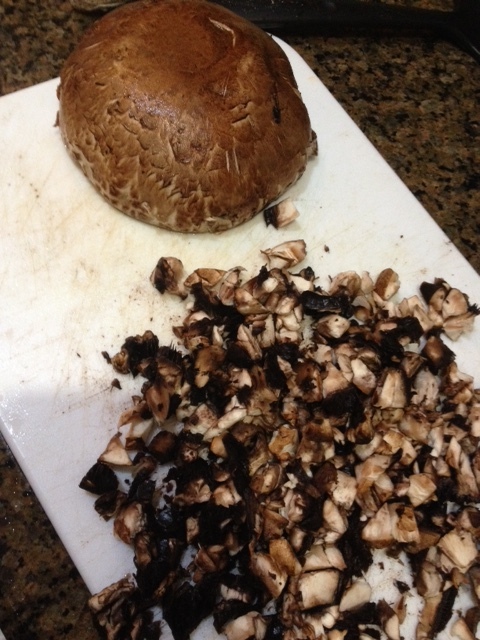 Start by cutting up a portobello mushroom cap, one as enough to fill 15 mini-puff pastry cups. Next fry the cut-up mushroom with cut-up tomato in olive oil and add a low-salt salsa. Reduce the mixture to thicken it a bit. Then fill your cups and serve at room temperature. I whipped up a filling made with cut up portobello mushrooms, tomatoes and a low-salt roasted garlic-flavored salsa I bought at Trader Joe’s. 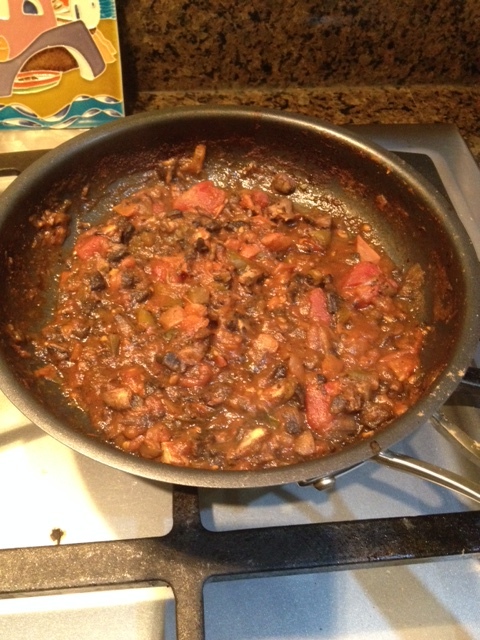 First I cooked down the mushrooms and diced tomatoes in a frying pan sprayed with olive oil. When they reduced a bit and became soft, I added the salsa, enough to fill the 15 cups I had to work with. Guests at a recent dinner party seemed to enjoy them and I loved them. My wife took 15 cups and filled them with fat-free, sugar-free chocolate pudding she made for our dessert, topping them with tiny pieces of cut-up fruit. That’s another great party option for your Super Bowl guests.